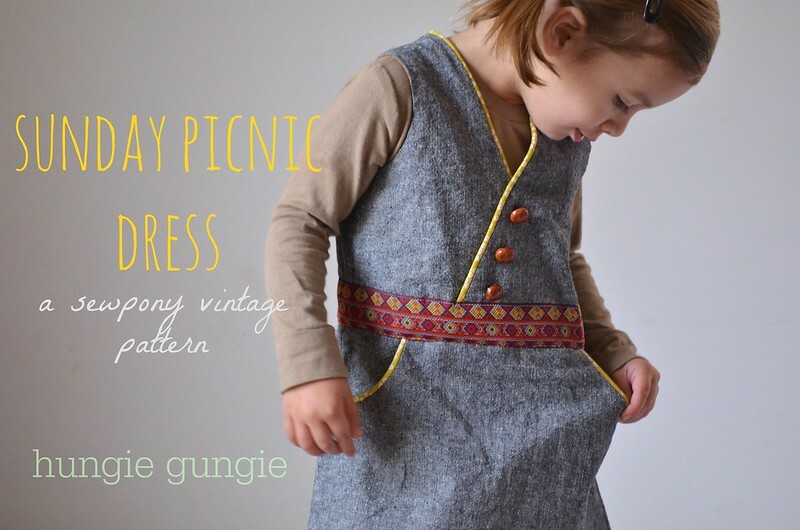 This little ditty is the Charlie dress pattern by Mingo & Grace. 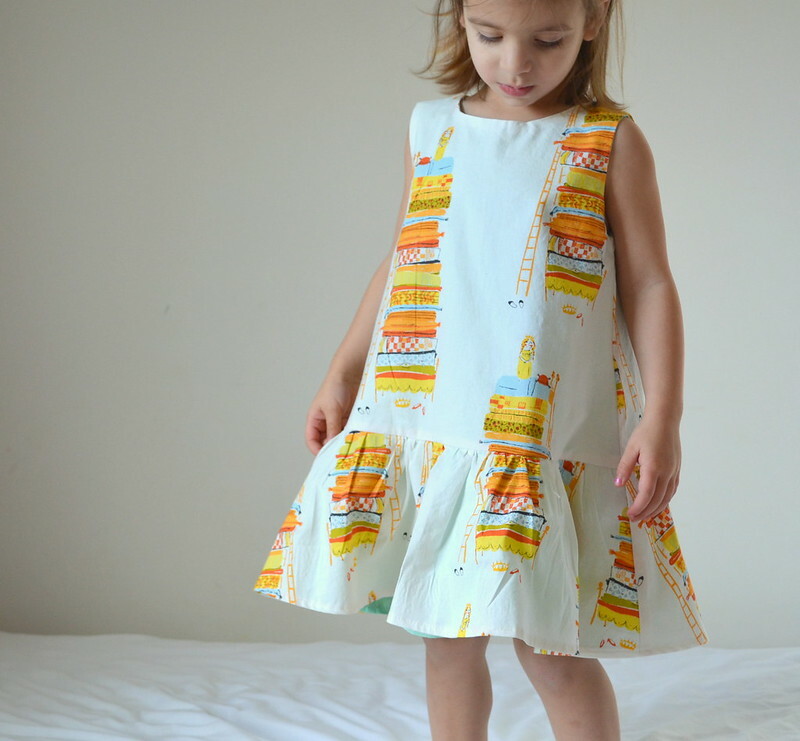 I love the shape of a drop-waisted dress, and now that I’ve made one, I think I’m smitten. It’s just so cool, swingy, and casual. 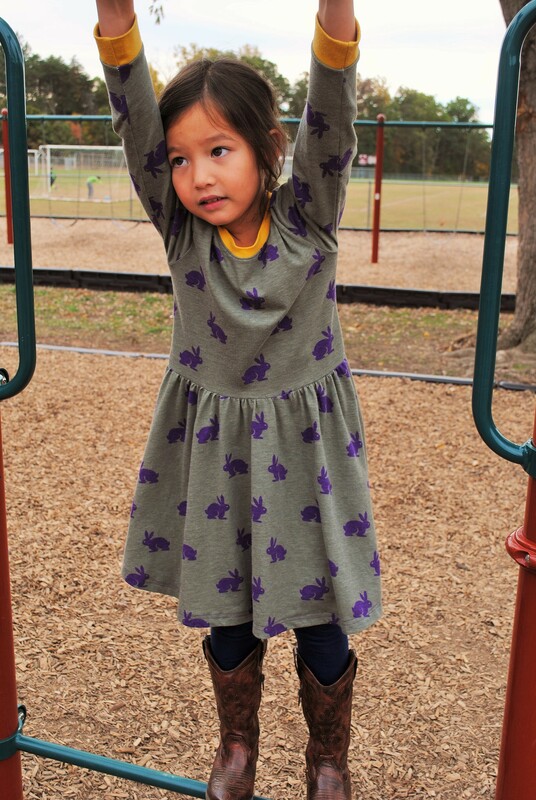 I used this darling-as-ever Princess in the Pea print by Heather Ross. 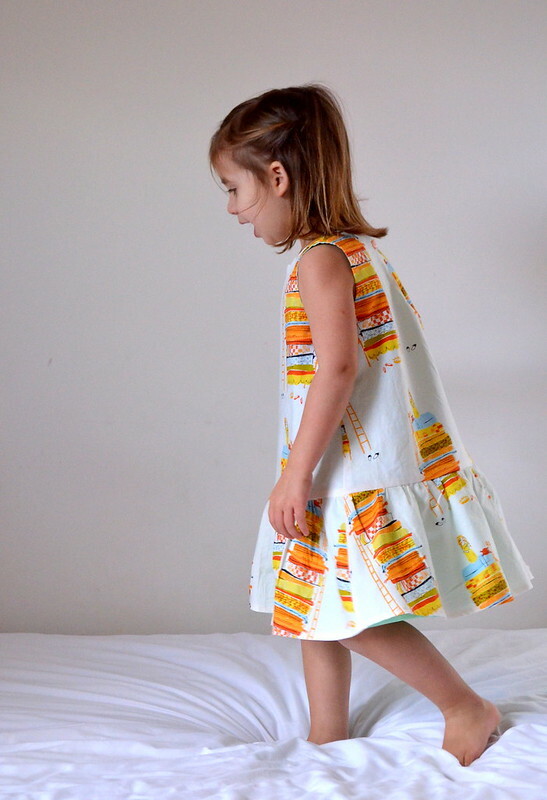 I don’t sew a whole lot with the cutesier prints out there, but there’s something I just love about this one- Heather’s style is so unique. The colors pop against the cream background, and I just love that little princess and her red cheeks atop those beds. 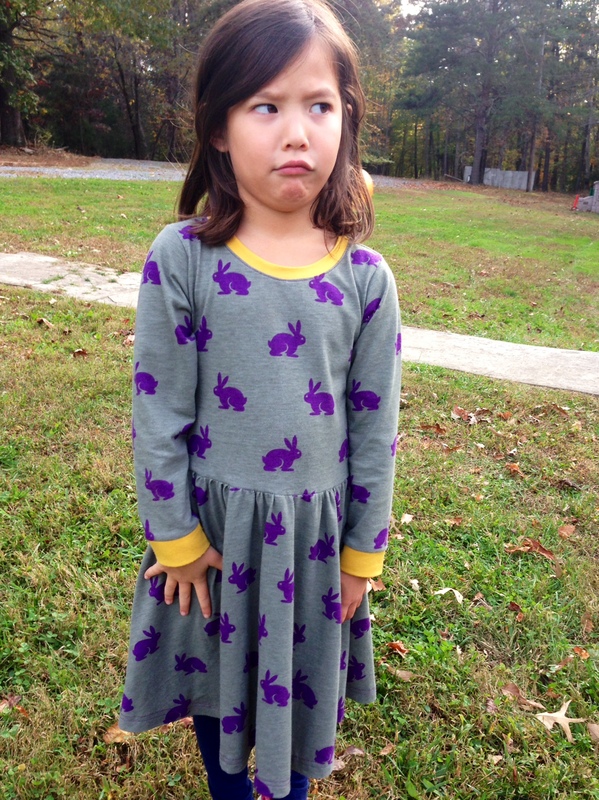 So, the Charlie dress is a sweet pattern, but I didn’t totally follow the instructions here. 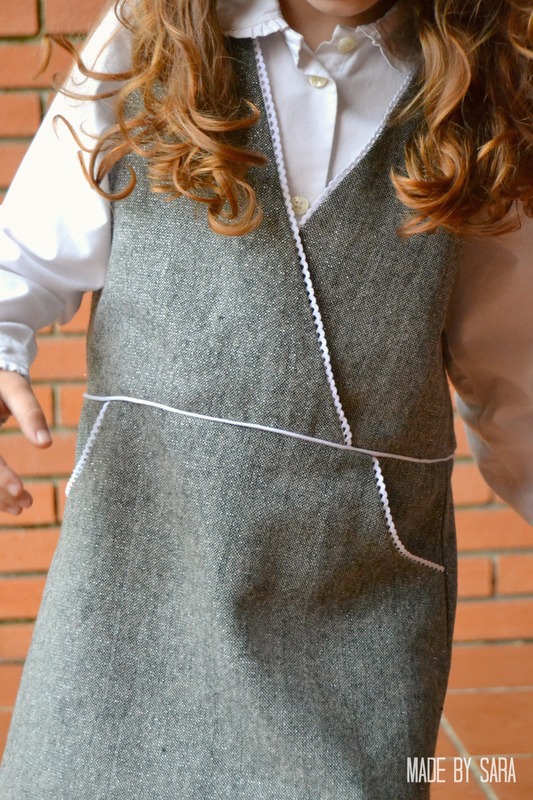 Mostly, because the armholes, neckline and back slit, are finished with bias tape. I realized that the fact that bias tape was involved was probably what was keeping me from being motivated to sew this one (I’d had my pattern cut out and sitting on my desk for a month but inside would hem and haw about using the bias tape for some reason. I guess I hate sewing with it?). 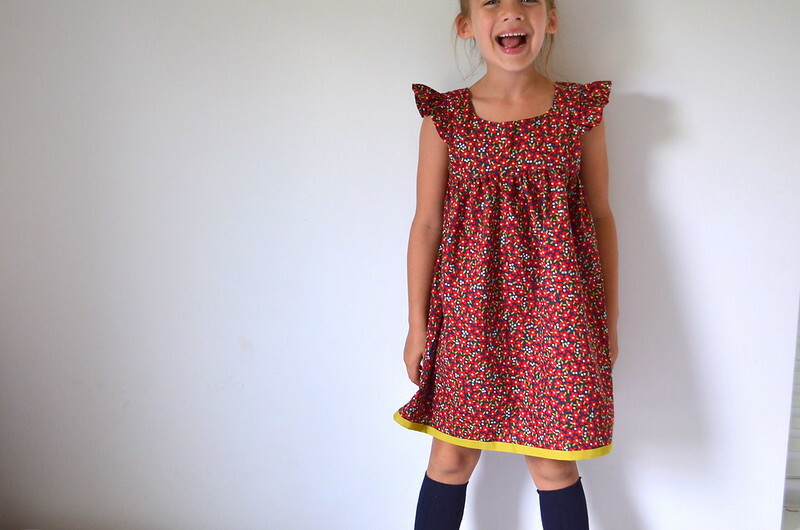 So, I decided to sort of “mash-up” this pattern with Dana’s First Day Dress pattern. 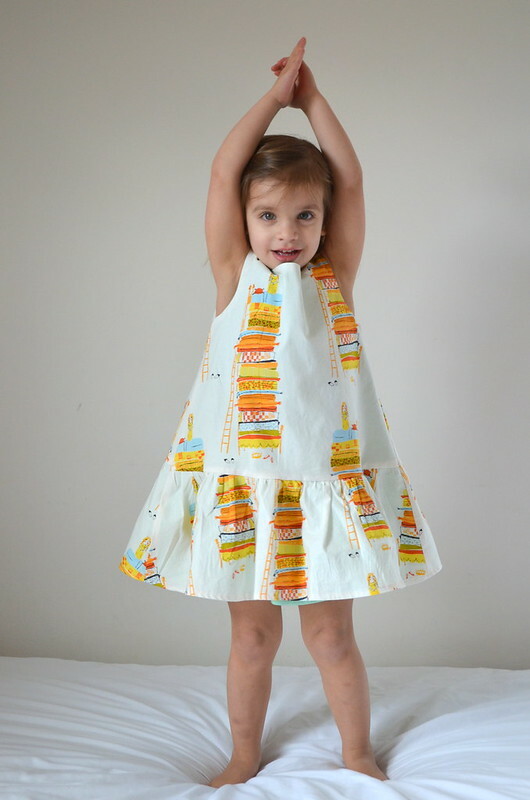 I love the look of a fully lined dress, so I basically followed Dana’s instructions so I could do that here. 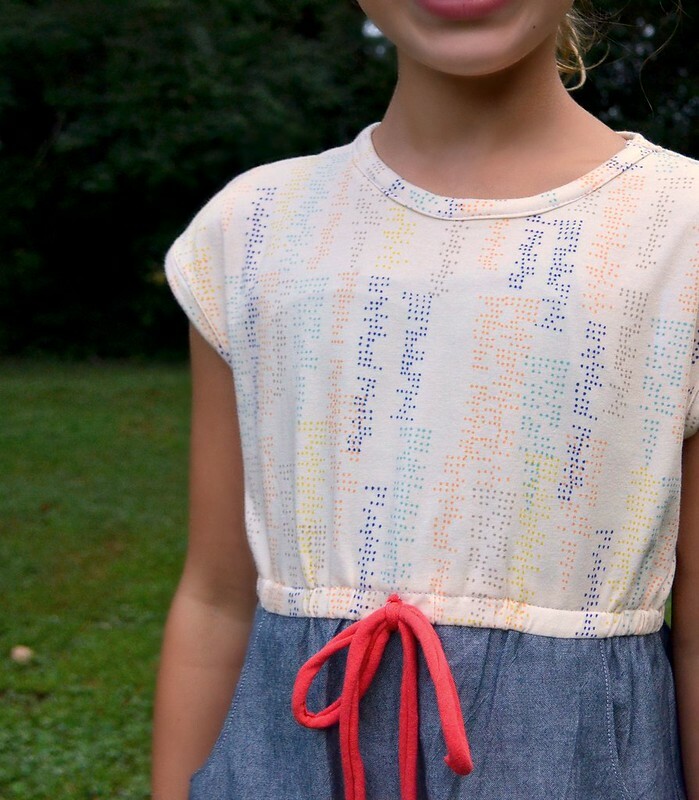 I really love Dana’s pattern, by the way- it’s become a steadfast favorite, and I’ve got a few more versions coming down the pipe soon. 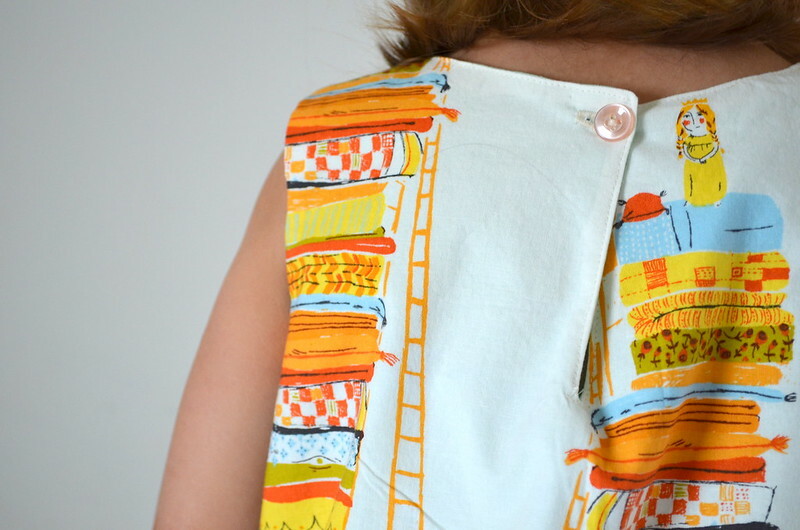 Of course, I used Rae’s sausage step to line my bodice because you now it’s all the rage now. (<—that’s for you, Rachel! hee hee.) Heidi has a good tutorial as well that shows how to do this as well. You should try it sometime if you haven’t. I think the weight of a lined dress is so nice- it’s not heavy at all, but it just hangs so nicely (better in person). I’m just really happy that I went that route. Not to mention, the mint lining peeking out is pretty sweet. These are the things I live for, people. Add Americanos and raw cookie dough to that list too. The Charlie closes with a simple button and loop, but of course I forgot to slip my elastic loop in before sewing, so I just made a buttonhole. It works. Her face in this next shot kills me. It’s so her. 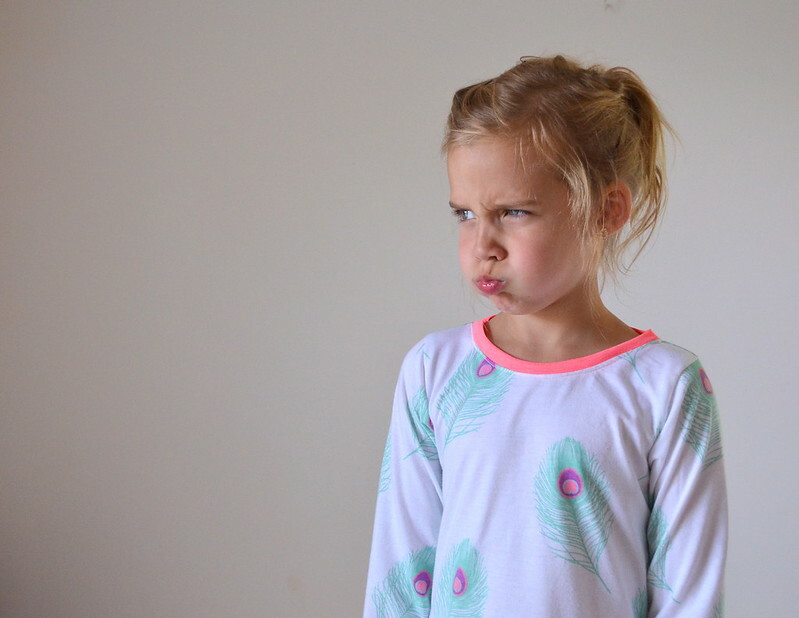 She makes the best faces. I’m so happy that Suz invited me along on the Sunday Picnic dress blog tour– she is one of the sweetest gals I’ve never met, and I’m such a fan of everything she does! 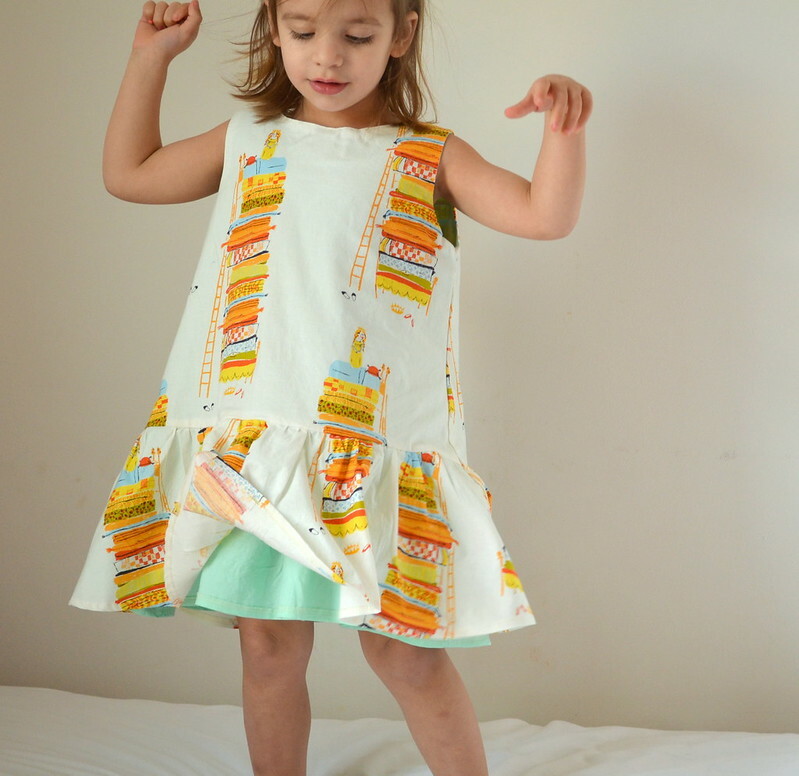 I fell in love with her Little Debbie dress pattern long ago (both of the ones I made were heavy rotators in my girls’ wardrobes), it’s a great pattern so I knew her newest baby would likely be as well. 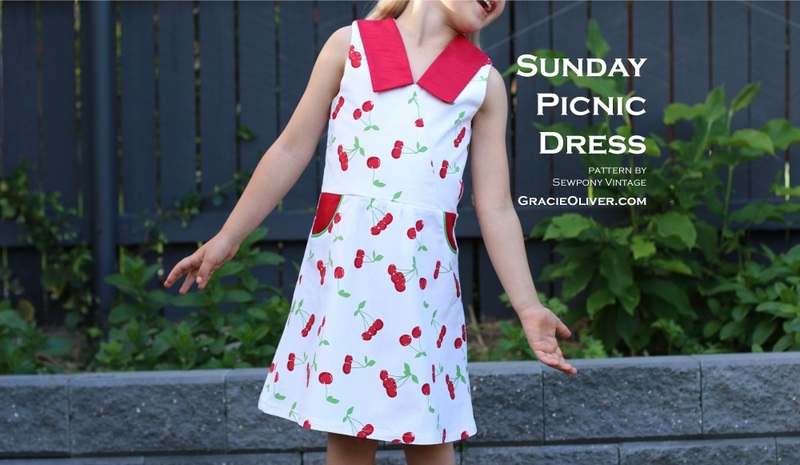 The Sunday Picnic Dress is a clean design, with clever details like the crossover neckline and the curved pockets, and an optional pointed collar. I chose the most basic options here- sleeveless and collar-less. I wanted to make something for Corinne that could be layered over a tee for extra comfort and warmth now that it’s getting chilly. I followed Suz’s chart to determine which size to make 2 1/2 year old Coco- she’s long and lean. A size 2 was the perfect choice. Fits like a glove. The fabric is yarn-dyed Essex linen in black, I got all technical and made my own piping using this lovely stuff, and added some leather buttons. 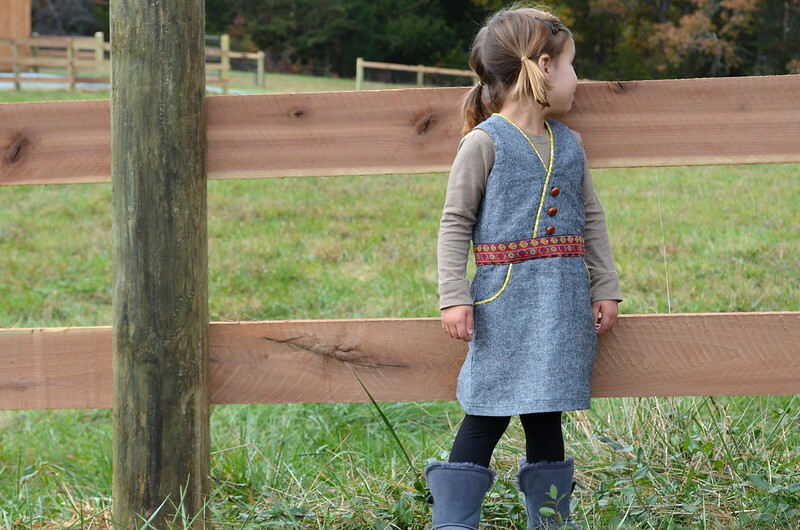 The sweet trim is from Joann’s. I was originally going to sew it to the bottom of the dress, but decided it’d sort of break it up a bit if I put it at the bodice/skirt seam. Coco would like to take this party outside. Cool? Our new neighbors just put up a big wooden fence. Soon, they’re bringing their horses in and a couple of cows, including a new calf! I love animals and have already asked if it’s okay that we visit them with carrots and apples. 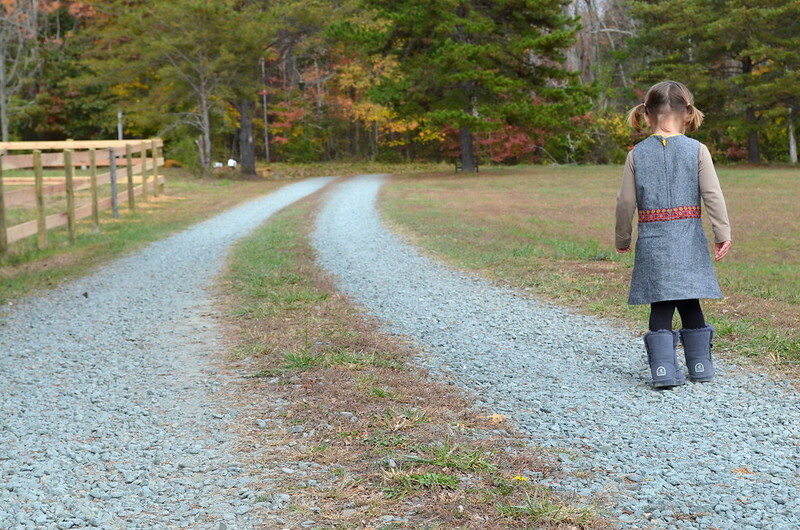 Maybe I can bribe them to be in my next blog photoshoot? 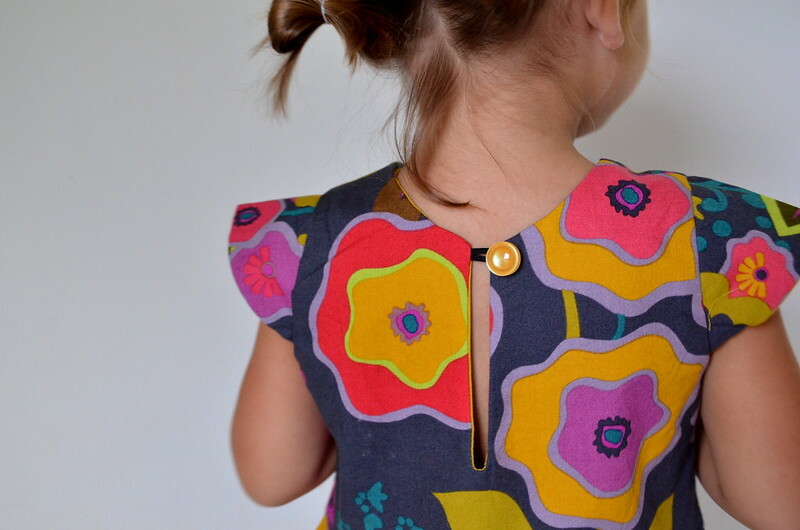 My only problem with sewing this dress was the zipper. I failed to read in detail about which type of zipper to buy, so I just grabbed a couple at the store. Not the invisible kind. Whoops. So unfortunately, I was unable to follow Suz’s (clear and detailed from what I could tell) invisible zip instructions. Instead, I made my way through a few random regular zipper installation tutorials online. It’s functional, but not perfect-looking on the inside. 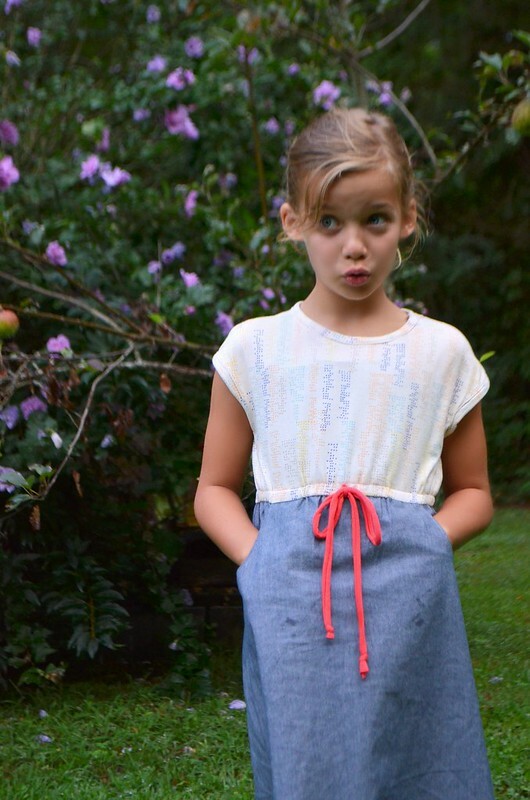 Those pockets… my fave! Hers too. 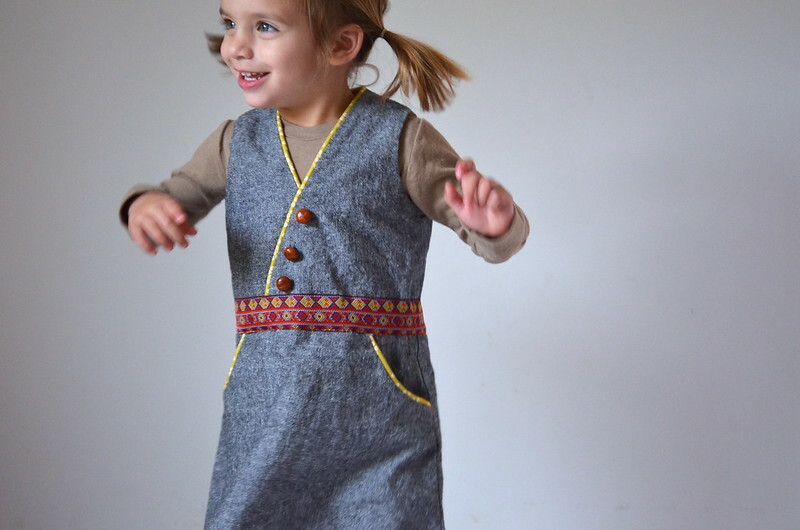 I hope you’ll check out this adorable pattern. 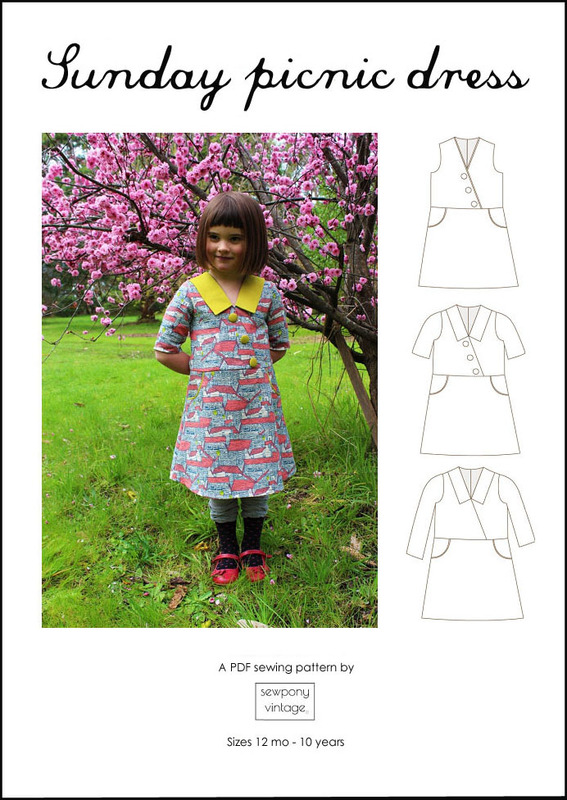 Like the other Sewpony Vintage patterns, each step contains a photo which is why I love most PDF patterns. Good for people like me who do better with a visual. Thank you, Suz for sending it my way! 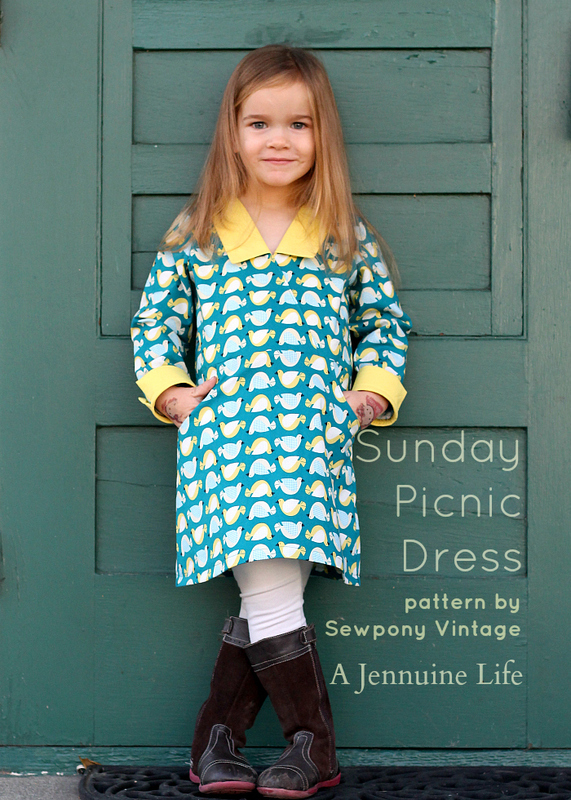 For the duration of the tour, you can buy the Sunday Picnic Dress pattern at a discounted price in the Sewpony Vintage shop– use code SUNDAYTOUR15 for 15% off. You can also visit the other lovely dresses on the tour today by clicking on their links below. They’re all so great! 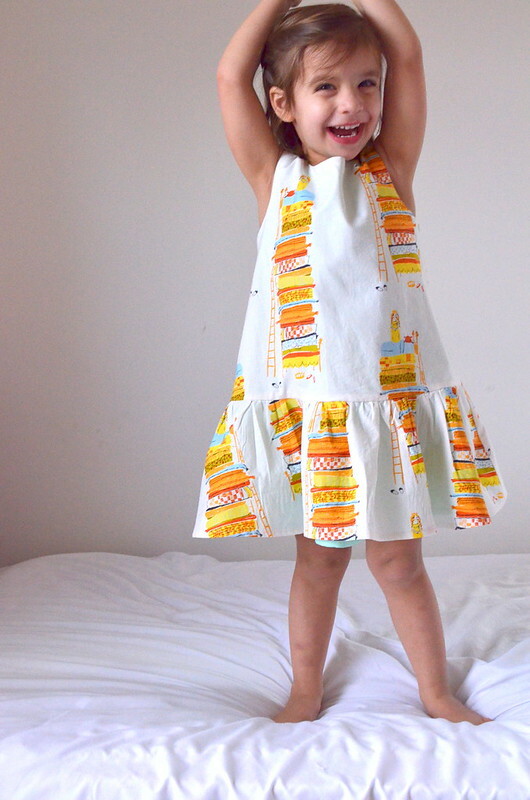 Using Dana’s First Day Dress pattern, of course. 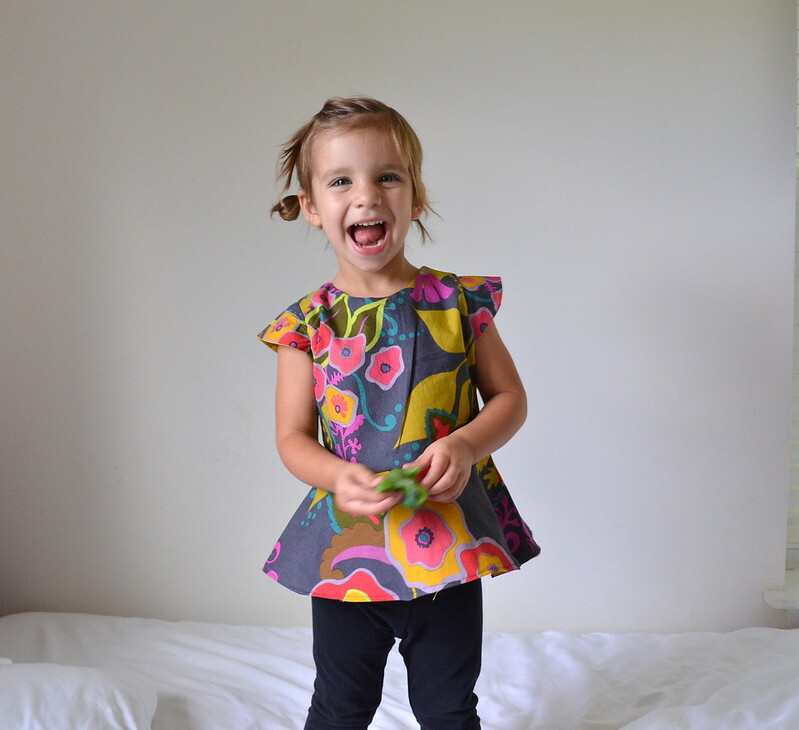 As stated in my last peplum post, I am not a “peplum person”. 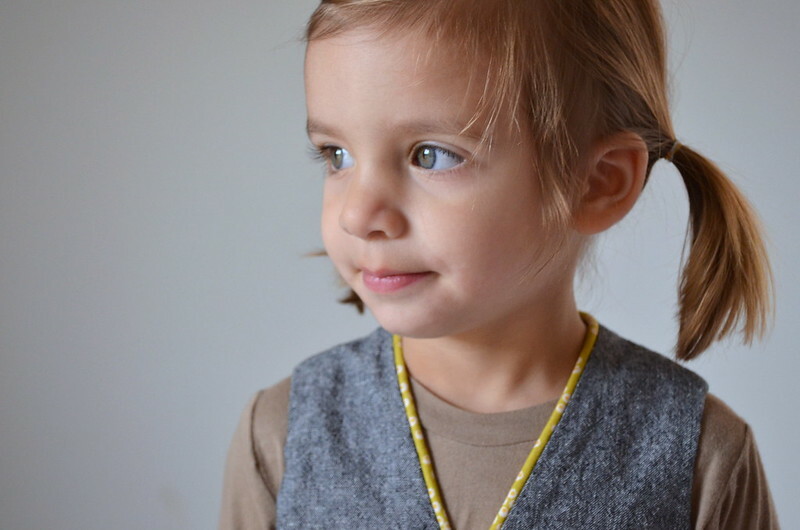 But I deem this style to be totally adorable and appropriate for small people. It’s just straight-up cute! Right??!! Minus the big wrinkle down the front. Whoops. 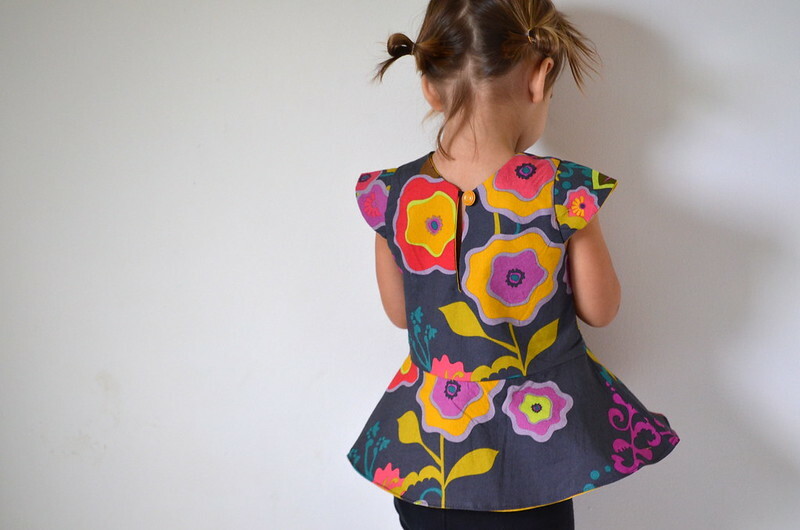 The fabric is Large Flowers in Charcoal by Alison Glass and I think it’s perfect for this top. Such vibrant color! 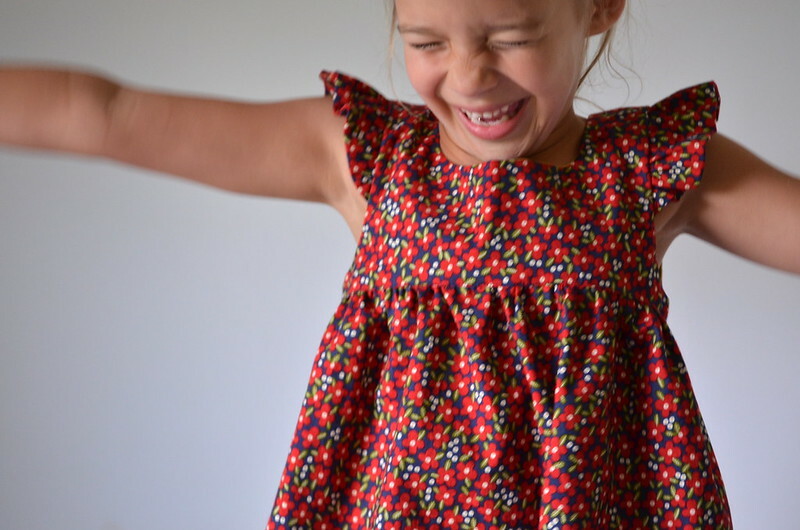 A joyful top for my joyful girl. 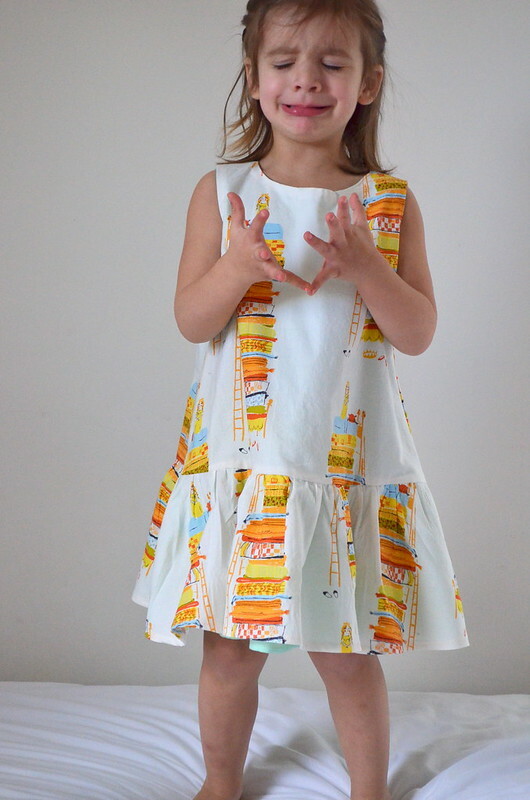 I lined it in Cotton Couture in gold, which seems to compliment the colors in the print pretty well. 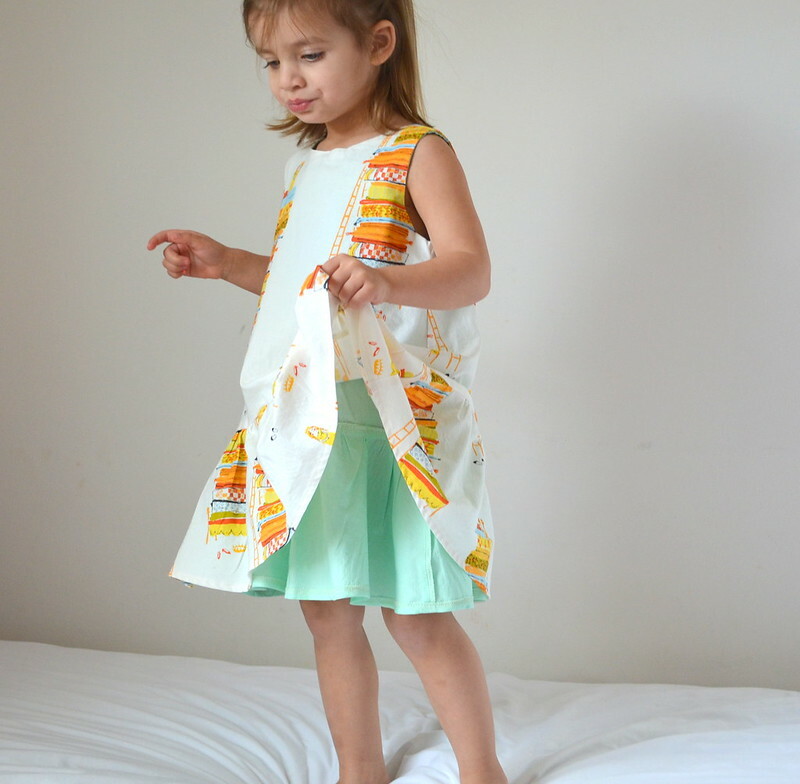 I went up a size this time around, and sewed a 3T. She wore her polka-dot one the other day and I almost had to call the Fire Department to come with the Jaws of Life to remove it from her. Oh. My. Gersh. Just trust me here… if in doubt, go up a size. 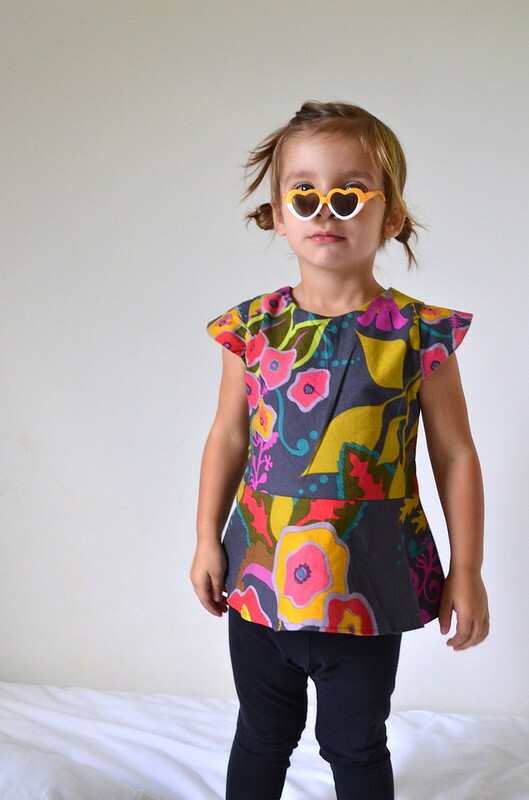 This top is fitted, so it does require the kid to put her arms straight up so you can tug it off, which might just be harder for a 2 year old to suffer through for more than 3 seconds without having a full-on panic attack. a-hem. Instead of cutting the slit in the back 4 inches, I’d consider cutting up to 5 inches next time around- and my Corinne has a skinny head. Or, I might cut the neckline out a bit larger. Dana does have you cut a 5″ slit for the larger sizes, but I think it might be something to consider for the smaller sizes too. Aaaannnd a little vintage button on the back to finish her off. 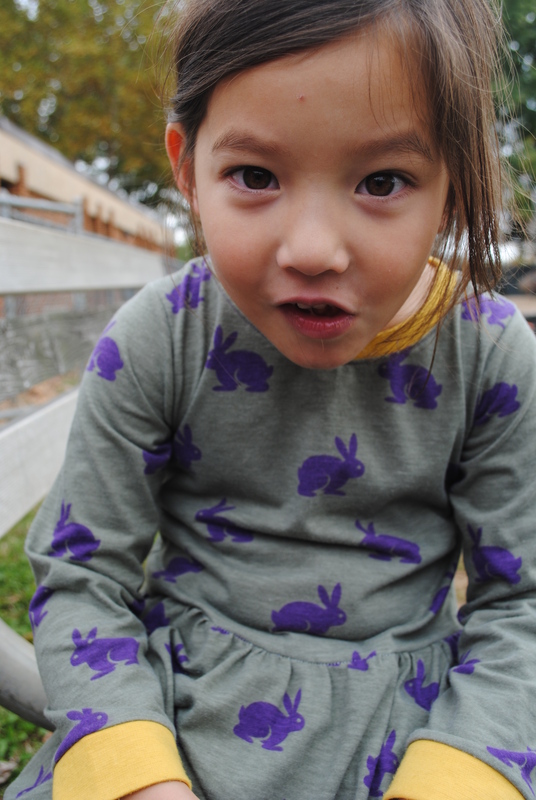 Next Tuesday, Coco starts preschool two days a week. She is SO excited to play with the baby dolls and baby strollers- her favorite things in the world right now. And I will not lie- I am looking forward to some free time. Strolling (quietly) through the grocery store, getting my ridiculously overgrown hair cut, sewing to the sounds Pandora, and the occasional morning nap are all on my list of things to do. Now go forth, my people. 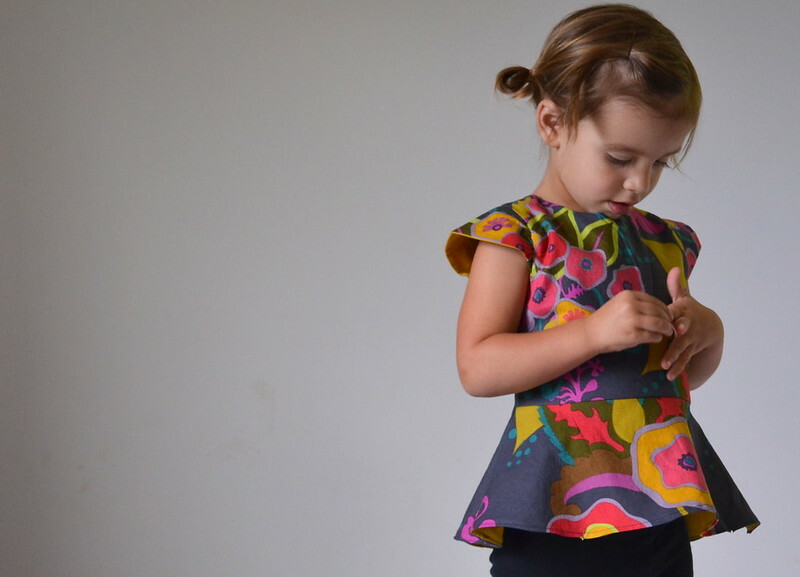 Sew the peplum! School starts on the 20th. So soon, so soon!! 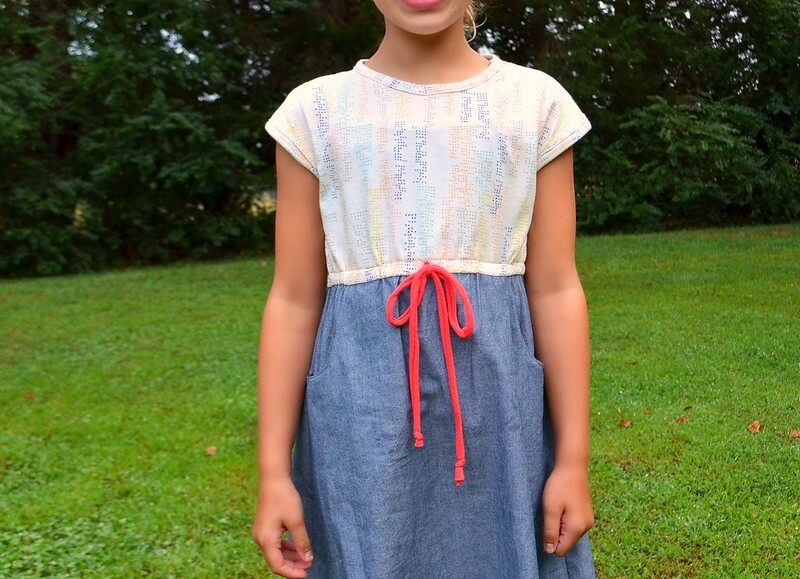 Ellery will be a big first grader this year. My kid wants trout. In treasure form. Let’s talk about this dress. 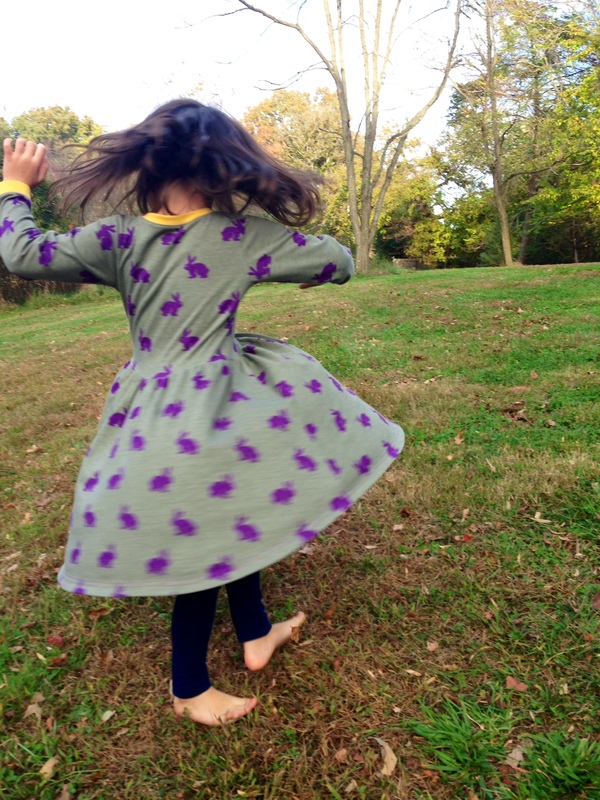 Once again, it’s the Bohemian Babydoll pattern from Elegance & Elephants. 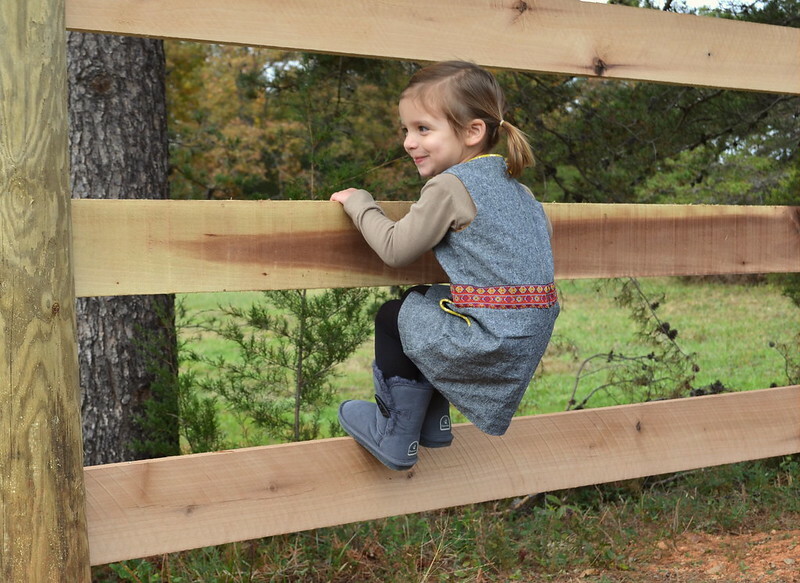 The fabric is an organic cotton designed by Carolyn Gavin for Windham. 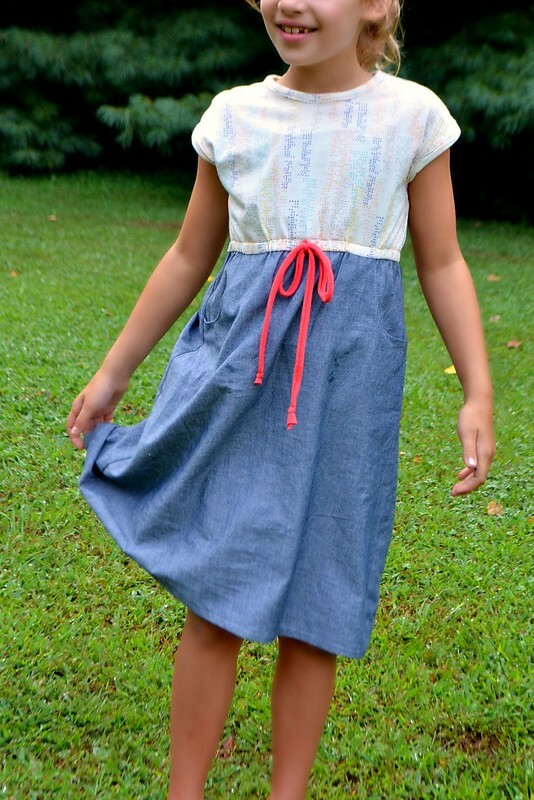 It’s Petite Fleur in Navy, and the contrasting Citron solid for the hem is from the same line. 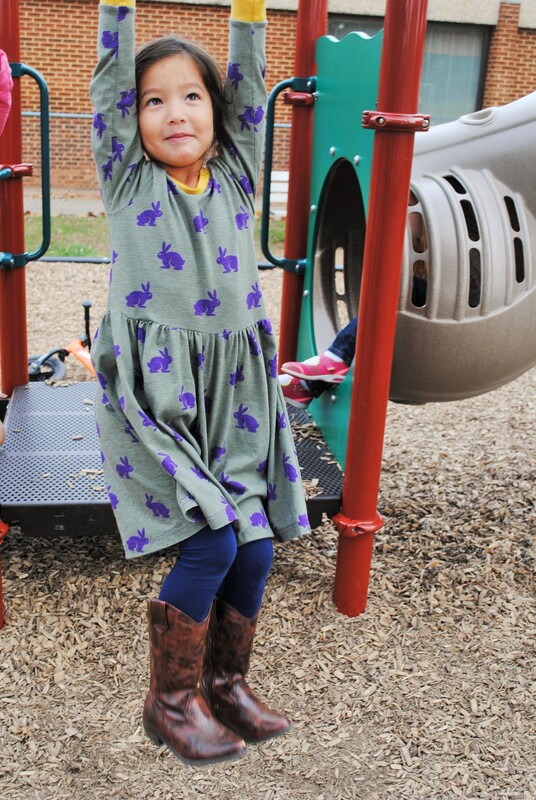 I kept checking out this print in my fabric closet, imagining it as a dress for the fall, layered with a cardigan and over tights… or, knee socks. KNEE socks people. Can we get a straight-up revival? 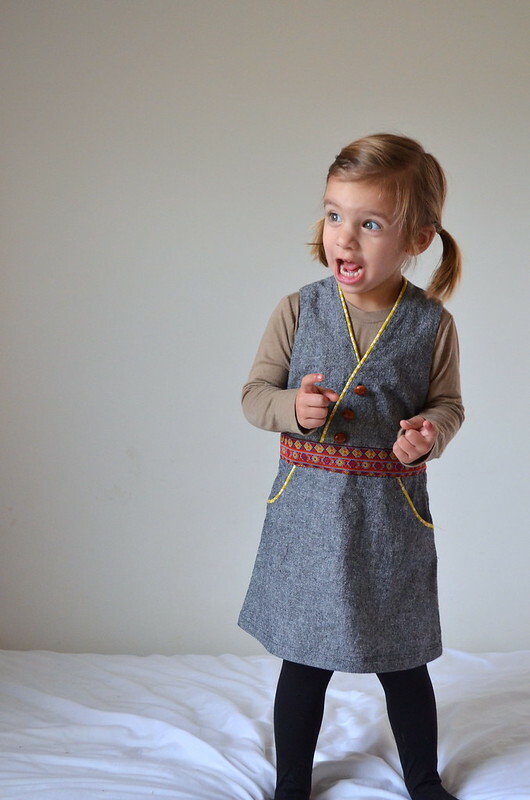 This is my 5th boho baby dress. I’ve had a few custom etsy orders since my first, and I can say that I love this pattern now that I’ve decided how I like it. 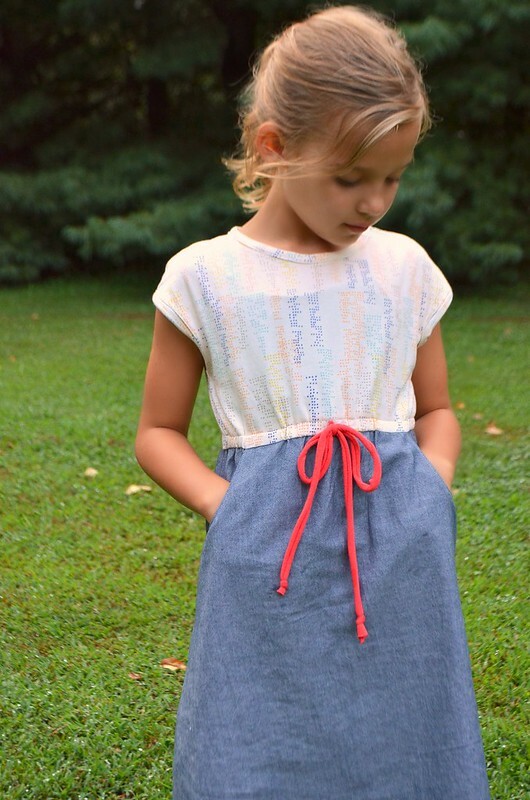 This is how I like it: I cut my 6 year old a size 6 with the 7 length for the skirt… But, I still felt that this dress was a leeetle too short. So, when I was sewing the hem facing, I decided not to fold it all the way under, and just stitched in the ditch on the front. It probably added another 3/4″. 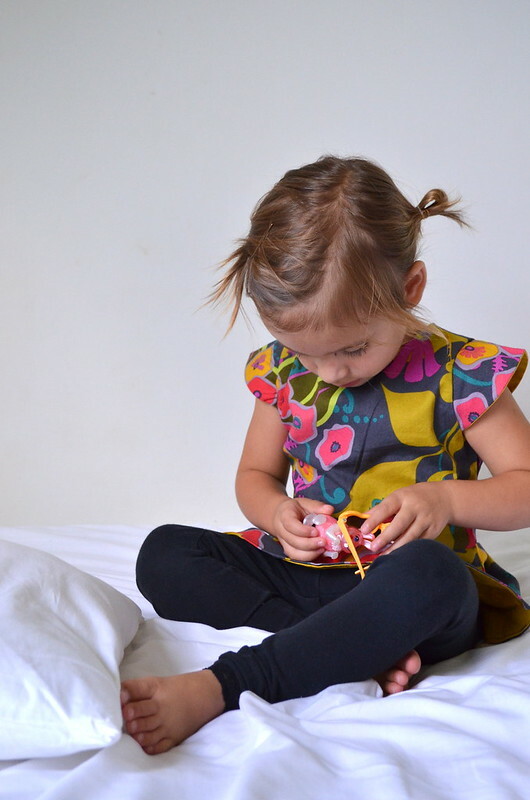 I love this length on Ellery and I will probably make this dress in this way again! Oh, you know I did the “sausage step” again for the bodice- once you get the hang of it, it’s so much faster and so much cleaner!! I am really a fan of not having to make buttonholes. 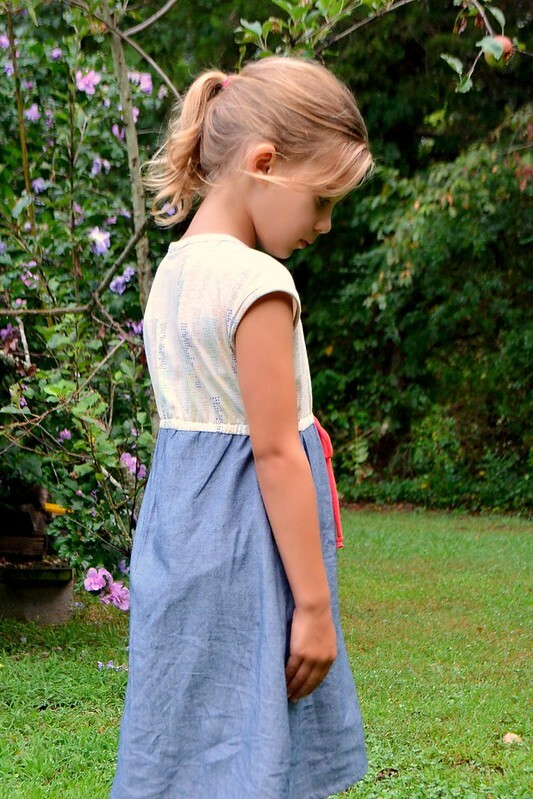 This dress is sweet and simple, and just has an ease about it that I like a whole lot. 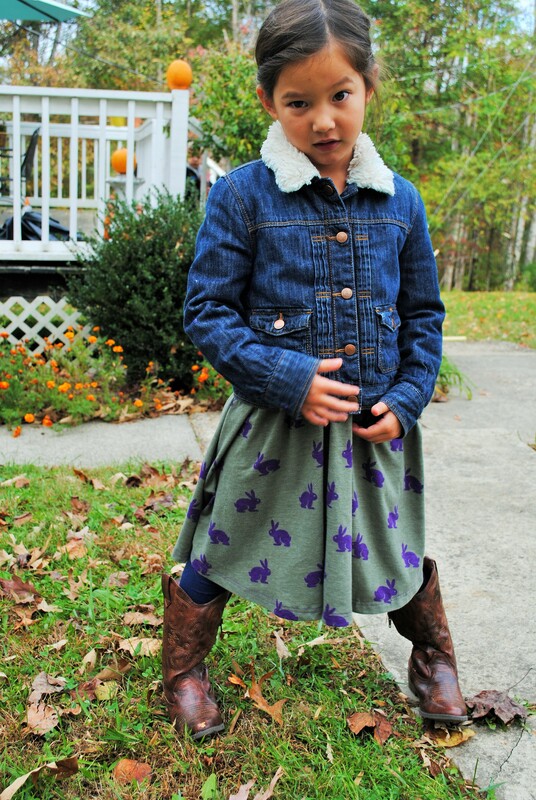 I think Ellery will rock this all school-year long… We both love it! I hope she rocks those knee socks too. WHILE tearing up some trout treasures.